It’s been a good couple of days for Qualcomm’s Snapdragon 835. The company is eager to show off the processor. Allowing media reps to test a reference device gives us a lot of details for the processor. Today, we’ve got a bit more of these. While Anantech carried out a detailed analysis for the processor earlier, today we’ve got Antutu benchmarks for the Snapdragon 835. They don’t disappoint either, but aren’t that mind blowing as well. Take a look below to find out more. The big news of 2017 for smartphones is 10nm processors. As manufacturers finally make the jump from 14nm, a lot of benefits will make it on flagship smartphones. This year, OEMs and fabs alike will focus more on power management rather than performance. As we’re unable to shrink battery size or introduce new materials, efficiently managing current power sources is the best the industry can achieve. To that end, the Snapdragon 835 will make a lot of improvements. Qualcomm claims that 80% of the processor’s workload will make it through its lower power core cluster. For performance, we’ve got a mixed picture for you at the moment. Current information suggests that the Snapdragon will improve integer performance by quite a bit but lack in floating. 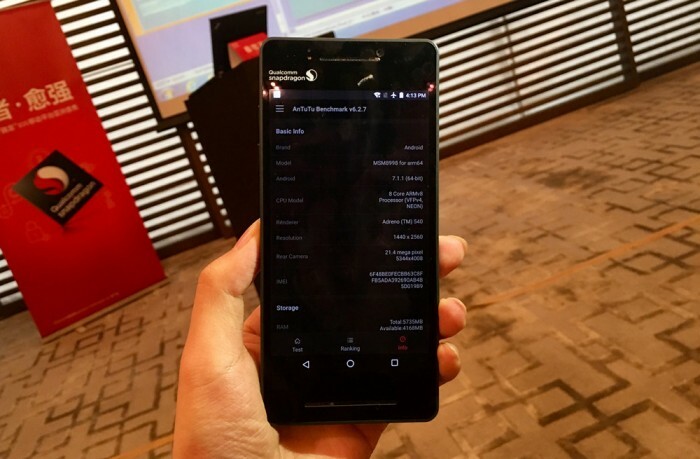 In terms of overall benchmarks however, the Snapdragon 835 will not behind any other processor. A latest benchmark run on the processor places it right at the top of the pack. 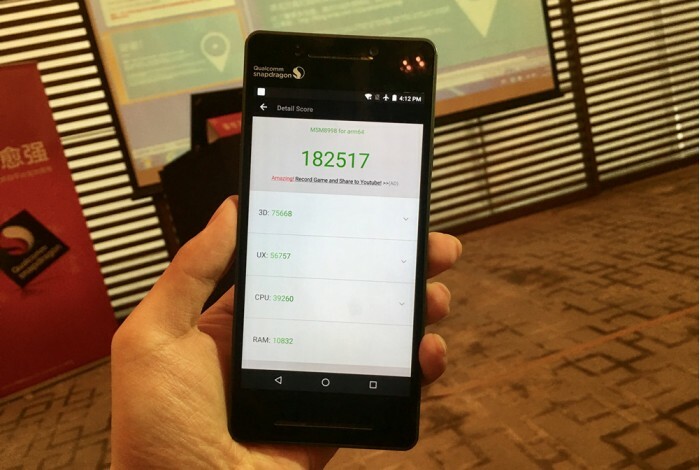 The Snapdragon 835 scores 182,517 points on Antutu, when tested on Qualcomm’s reference device. An earlier benchmark leak for the Samsung Exynos 8995 yielded more impressive results. Samsung’s in-house processor crossed the 200,000 barrier by scoring a record 205,284. That’s a huge scores and looks like Samsung doesn’t want to be dominated by power efficiency on its Exynos processors. For the Snapdragon 835, there really isn’t much that we can say until the processor becomes available for mass testing. 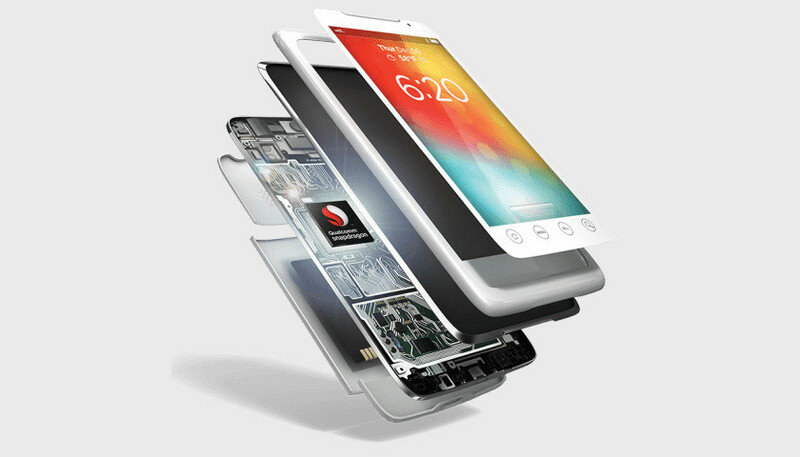 The processor doesn’t look to be a strong powerhouse, especially as Qualcomm’s focused on only a select few areas. We won’t have to wait long for testing either. Samsung will launch the Galaxy S8 and S8+ in just two days and the Xperia XZ Premium will also be available soon. Thoughts? LEt us know what you think in the comments section below and stay tuned for the latest. We’ll keep you updated.